1. To place before young students a record of methods of cookery taught at school; supplementing lessons given from foundation recipes, and generally increasing their knowledge of the subject. 2. 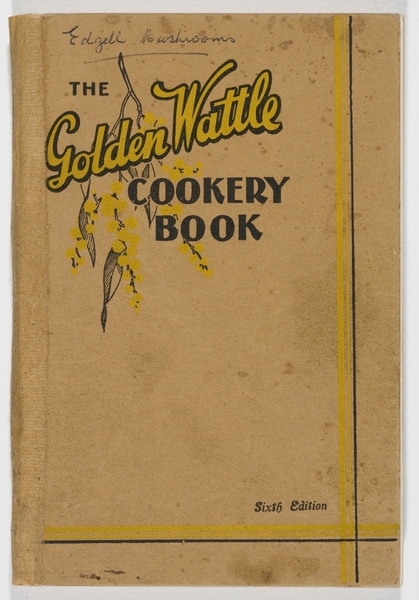 To enable girls who have left school to maintain their interest in cookery, and to have in their possession a book of dependable recipes which may stimulate a desire to venture further in the culinary art. 3. To give, in a concise and simple form, information on food values and the cooking of food. 4. To set before those taking up life in rural districts of the State simple directions to bread-making, jam and jelly making and fruit preserving, which will secure success at the outset. I think if you substituted the food terminology for any other subject you have a really good criteria for publishing any 'how to' reference book. The edition owned by my mum (the Twentieth edition) is stained by spills, dog eared and has been rebound to save the loose pages becoming lost forever. It is still a cherished book and the first one she reaches for to help with remembering the basics. Here is a pic of this edition. I purchased my own copy sometime after I left home. My copy is a thirty first edition and was printed in 1996. The cover image is scarily un-appetising in a very 1980's way. The brussel sprouts look boiled to within an inch of their life, the gorgeous corningware casserole dish, not to mention the fish and chips garnished with parsley or the pea stuffed tomatoes. Just goes to show the 80's weren't just bad for hairstyles and shoulder pads. Mocking aside (I do love the splayds* - which I recently purchased 20 of) I cherish my own copy of this book and find myself hunting around the office for it looking for a back-to-basics recipe that modern cook books just don't bother including. Image from NSW library website. 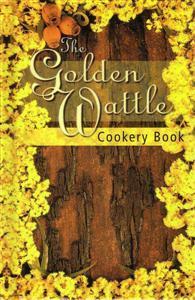 ﻿The first edition of the 'Golden Wattle" book was printed in 1926. The edition above was released around 1937. If my grandmother was given one of these books at school it was probably this edition, and I must say the cover looked familiar when I found it on the web. This copy below is the latest one released (also the thirty first edition but reprinted in 1999) has a much, much nicer cover than mine. It reminds me of the more classic look of earlier editions. I will admit some of the notions (and ingredients used) are a little old fashioned - like lard and suet, and are heavily reliant on traditional English and American cooking, but this book does give good suggestions on how to use up ingredients and left overs that most people would just toss away. 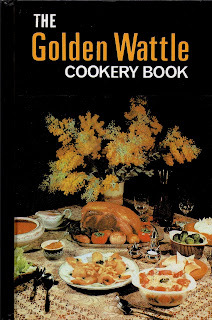 I wont ever EVER need a recipe for fricassee of /or fried brains, hot corned sheep's tongue, ragout of rabbit or stewed tripe with onions; but I have found hundreds of really useful tips and tricks including what to do with quince, how to bottle fruit and vegetables, cuts of meat, souffle, biscuits, basic substitutions and so forth. *Splayds are an older cousin of the spork - invented in 1970 and sometimes known by the fancier title of buffet fork are a unique all in one knife, fork and spoon. From Wikipedia: A Splayd (plural 'Splayds') is a brand of single eating utensil combining the functions of spoon, fork, and knife, sometimes called a sporf or spork. The splayd was invented by William McArthur in the 1940s in Sydney, Australia. In addition to an overall spoon shape with four fork tines, it has two hard, flat edges on either side, suitable for cutting through soft food. SPLAYD® utensils came into their own in Australia during the 1970s when they were the preferred cutlery choice at buffets and cocktail parties. Being just so easy to handle, SPLAYD® utensils manage all sorts of dishes effortlessly. Today SPLAYD® utensils continue to seek their rightful place at all the good parties. They are also most practical for camping, picnics and dinners in front of the television. Post note: The boxes of 6 featured above cost about $50 but I got my nice new stainless steel slaydes for $1.90 each and when I took every one I could find in the store to the counter I discovered they were on special so I only paid $1.52 each.